The 26th Wisconsin Infantry Regiment was a “German” Regiment raised for the Union during the American Civil War. It was nicknamed “The Sigel Regiment” after Franz Sigel himself a German immigrant from Baden. Twelve regiments of Germans were raised in 1862 from areas in the north with heavy German immigrant populations. The 26th Wisconsin was raised primarily in the Milwaukee area and eventually was posted to the Army of the Potomac’s 11th Corps, a Corps that consisted of many “German” regiments. The position of the “German” Corps at Gettysburg. Prior to the Battle of Gettysburg General Schurz (commanding the Division the 26th WI was part of) ordered the German band of the 45th New York to serenade a priest and some nuns at a nearby academy. A favorite song of the German soldiers was “Morgenrot” or “Morning Glow” and many in Schurz’s Division heard the song that evening. Here are the words in German followed by a translation from James S. Pula’s The Sigel Regiment. Leuchtest mir zum fruhen Tod? Are you calling me to an early death? Bald wird die Trompete blasen, Dann muss ich mein Leben lassen, Ich und mancher Kamerad! Soon the trumpets will blow then I must give up my life mine and many comrades! Morgen is das kuhle Grab! Tomorrow in a cold grave. Tust du stolz mit deinen Wangen, Die wie Milch und Purpur prangen? Ach, die Rosen welken all! Proudly displyed like milk and blood, fade away, Alas, even a rose wilts. Und sollt’ ich den Tod erleiden, Stirbt ein braver Reitersmann. I will have died A brave Calvalryman. The song proved prophetic as the 26th lost 46 killed, 134 wounded and 37 missing at Gettysburg out of 516 engaged. 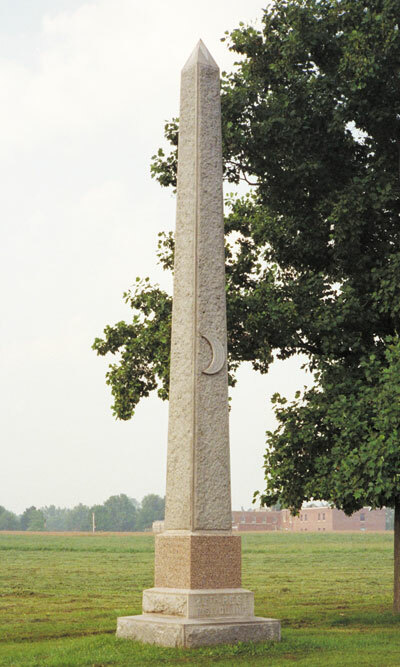 26th Wisconsin Monument at Gettysburg. The 11th Corps was unfairly maligned by the press, especially the eastern press. 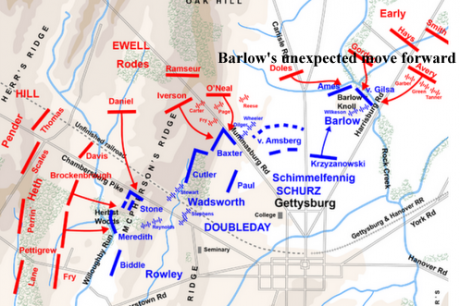 The Germans regiments were called “Dutchmen” and they were accused of running away and abandoning their positions at Chancellorsville and Gettysburg. The truth of the matter is the 11th Corp was twice faced by over whelming odds as the Confederates achieved local numerical superiority in both battles. The division the 26th WI was in gave ground grudgingly on both occasions and only retreated when ordered to do so. The accusations had more to do with immigrant prejudice than anything else. For more: The “2nd” German 26th Wisconsin blog post by me. 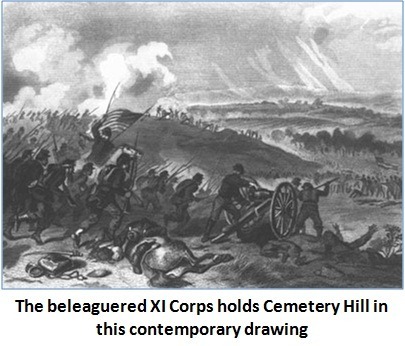 For still more: The German XI Corps at Gettysburg by Patrick Young (blogger). For still more yet: German Sons in the American Civil War. This is an interesting (incomplete) website that documents the vast number of Union Regiments in the Civil War that had a heavy proportion of German immigrants. He lists about 100 including 10 from Wisconsin.